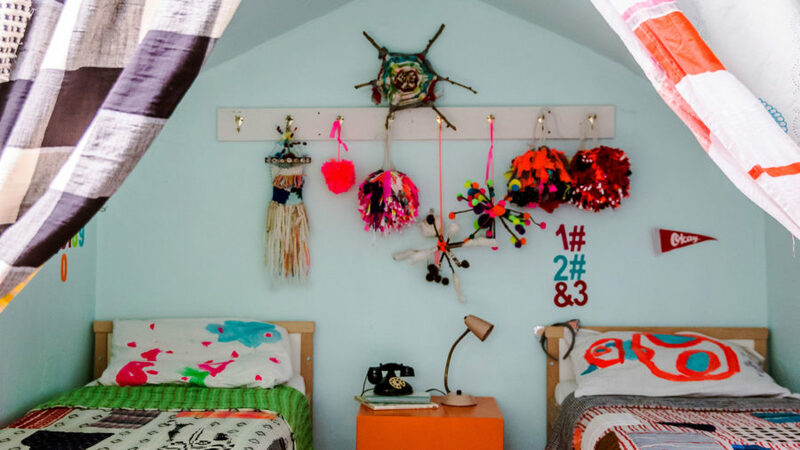 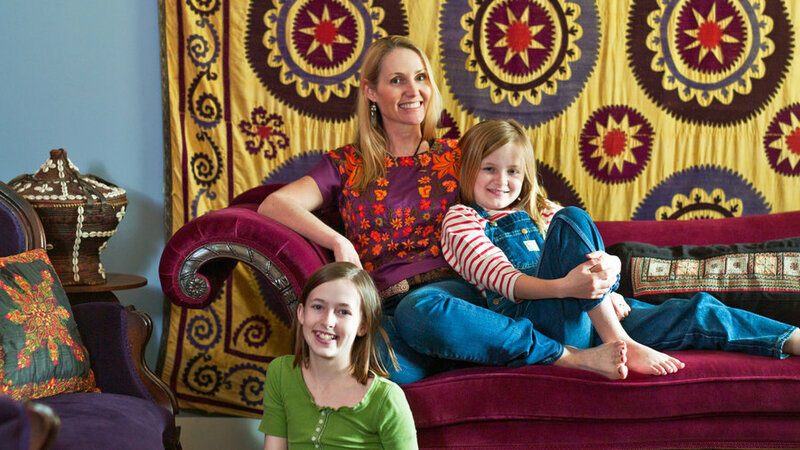 This kids' room, created in the nook of a converted attic, gets its decor moments in the form of colorful textiles and inviting kid-made god's eye, wall hanging, and pom-pom crafts. 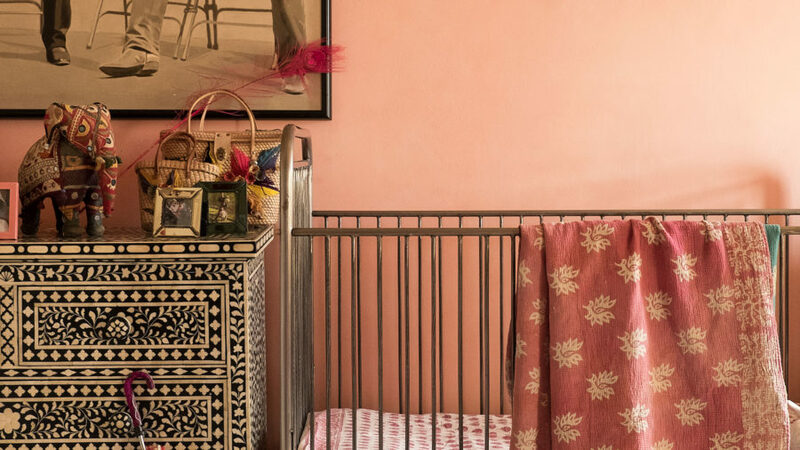 A family's travels to India inspired the decor in this nursery. 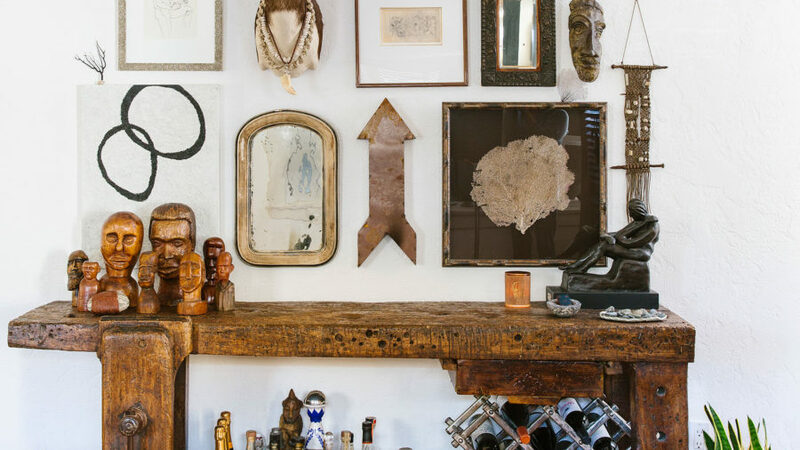 The inlaid dresser is a work of art in and of itself, not to mention the treasures displayed on top of it. 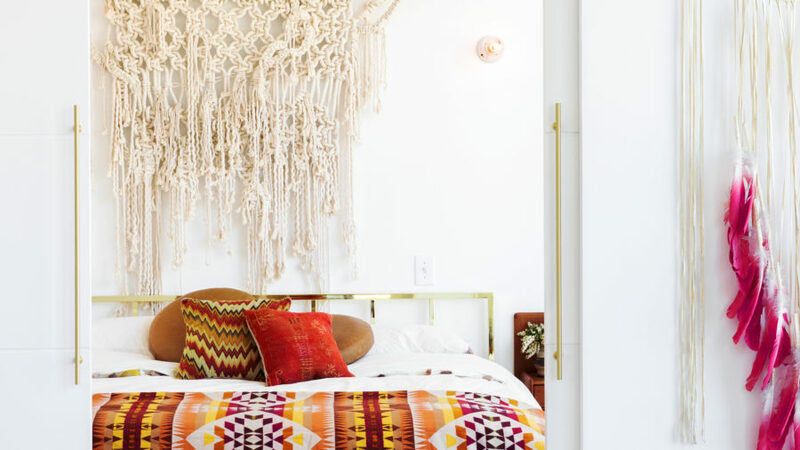 Indian textile prints grace the crib bedding, while the mobile suspended above is made from traditional Indian garlands. 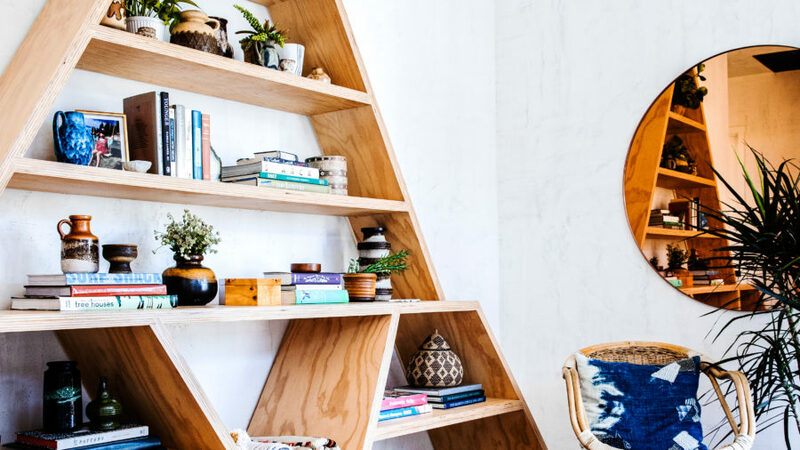 This unique, pyramid-shaped creates the perfect display case for ceramics, books, miniature plants, and more decorative treasures—and is a work of art in and of itself. 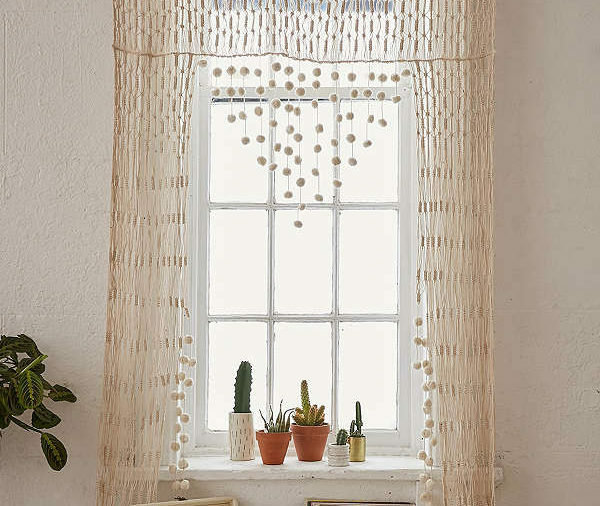 Maybe it's the crochet-hemmed curtains and macramé hanging planters, or possibly the nap-ready daybed, but this living space has got some seriously beachy boho vibes. 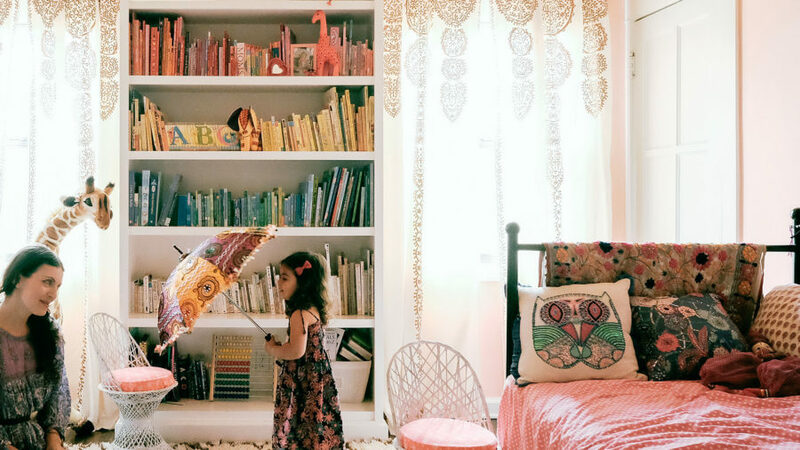 The gold leaf print-inspired curtains and rich textiles on the bed play up the global theme of this girl's bedroom, while the books organized by color add a rainbow of visual interest to the space. 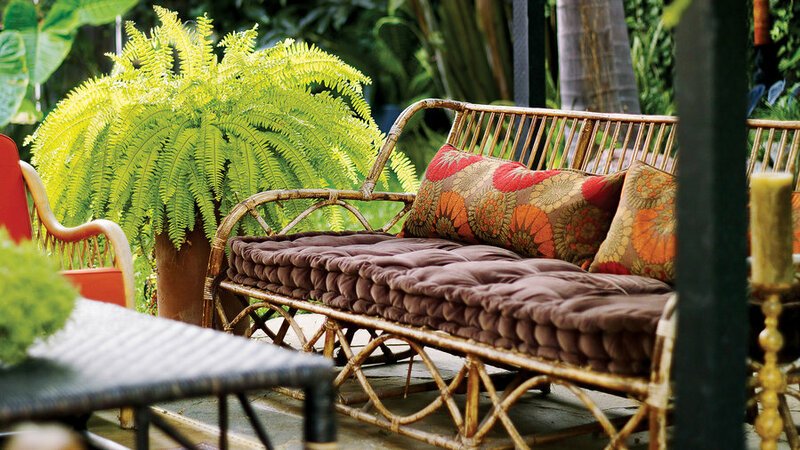 Rattan instantly evokes an exotic, rustic vibe. 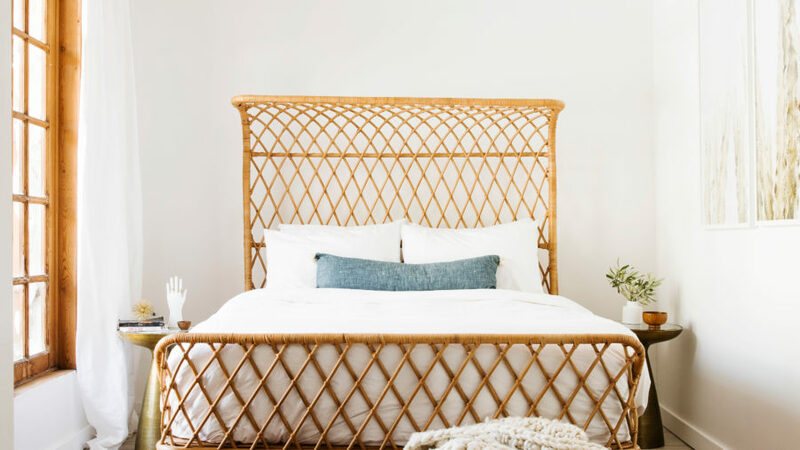 This bed frame adds a warm tone to the room's simple palette. 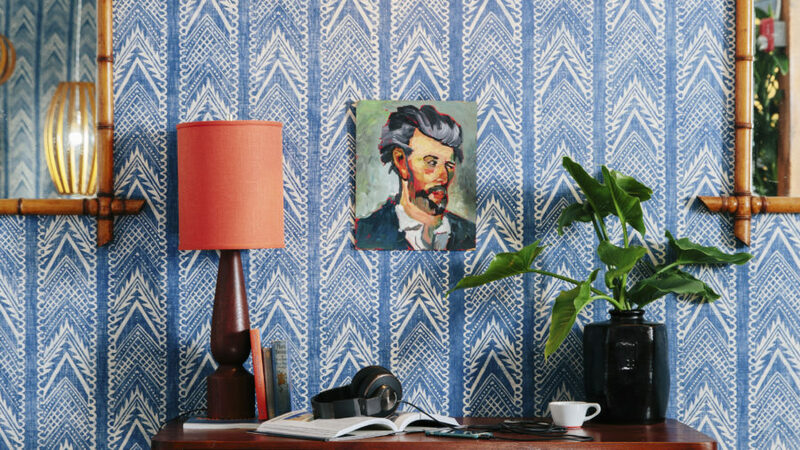 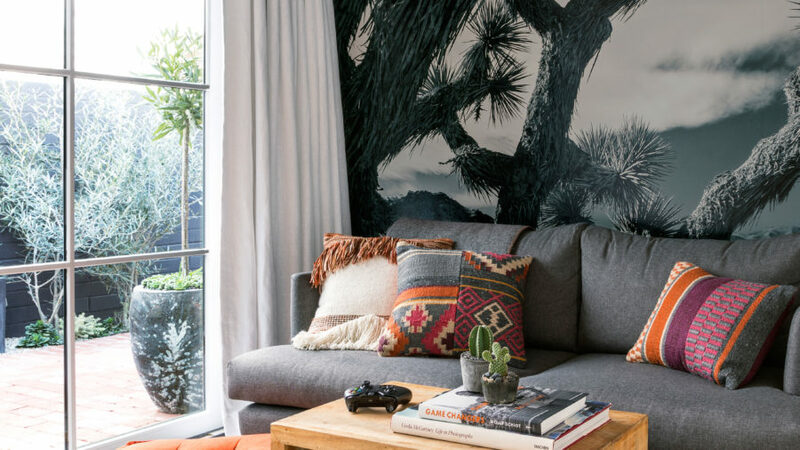 Don't be afraid to take risks with pattern mi in your home decor. 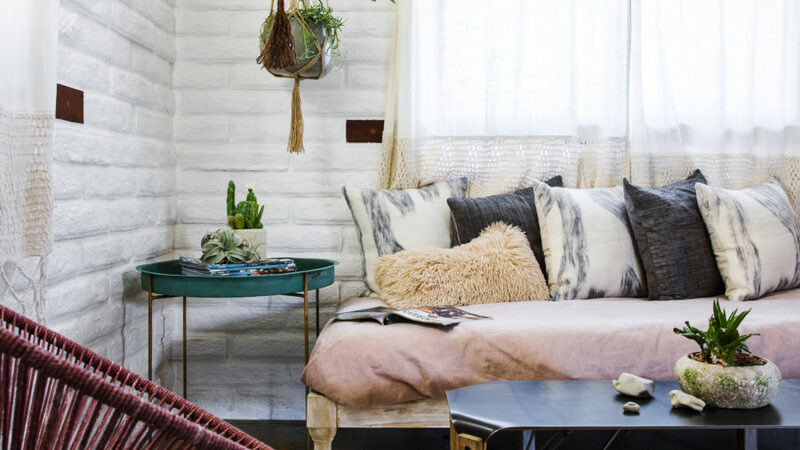 Here, '70s-inspired floral wallpaper plays nicely with the hot pink flowers and birds on the bedding, while the quirky pillow in a bold palette creates a focal point. 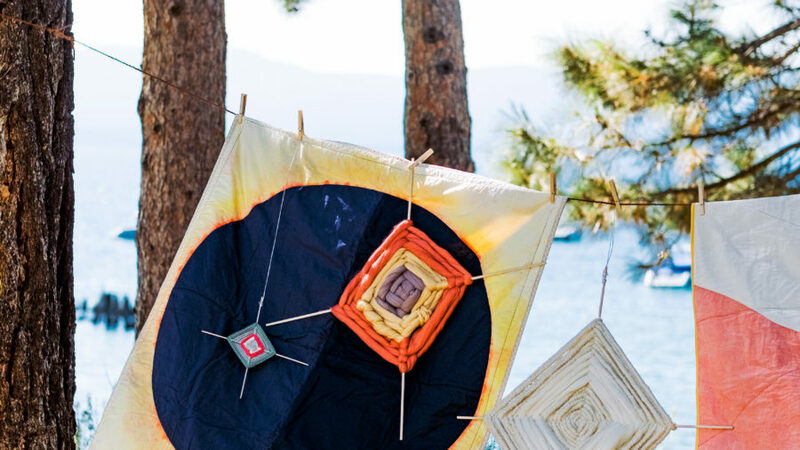 For camp-inspired outdoor decor (that would work just as well inside), hang vintage quilts and layer DIY god's eyes in bold colors on top. 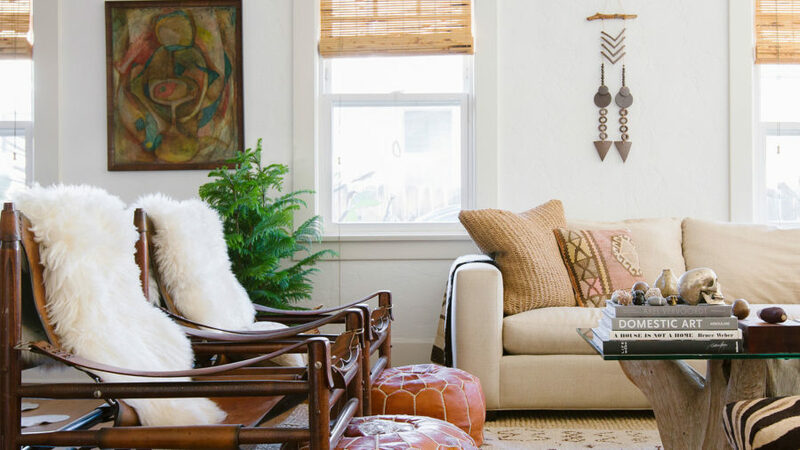 The look is simultaneously nostalgic and boho-contemporary. 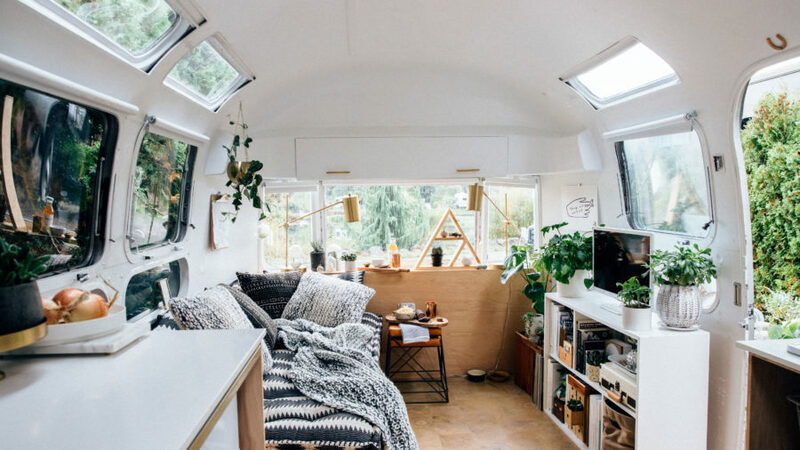 This compact Airstream home doesn't have much space to work with, but it gets boho style subtly layered in in the form of a hanging plant, graphic textiles, and a triangle-shaped display piece for small treasures. 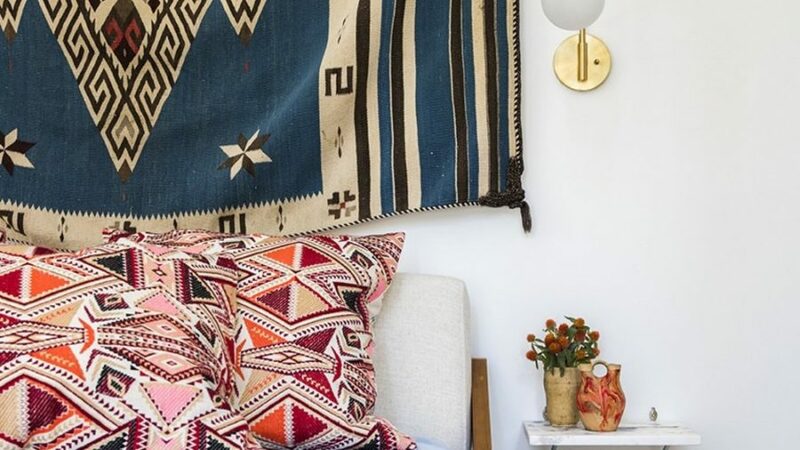 You can go for an electic scheme that doesn't stray into hodgepodge terrirtory by using a connecting thread of color, tone, or shape. 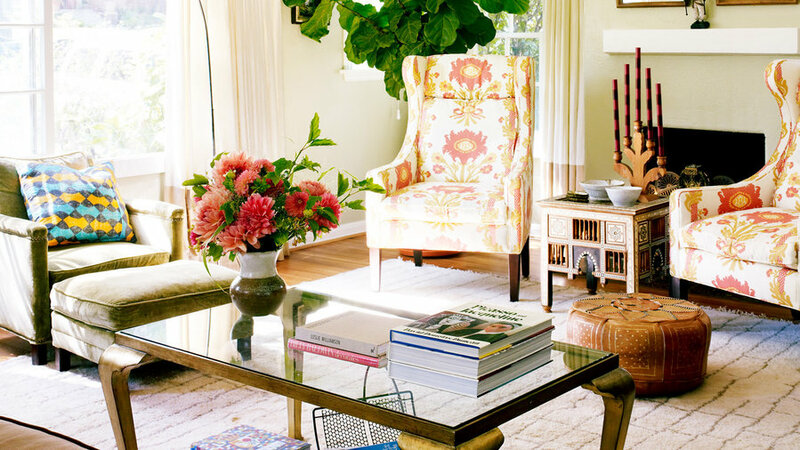 In this living room, floral fabrics mingle with graphic prints, and Moroccan and Mexican accessories with midcentury furniture. 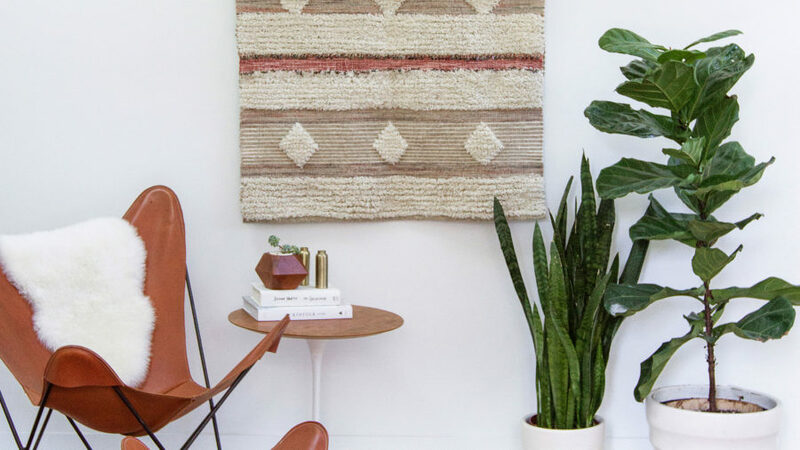 All are linked by a ’70s palette. 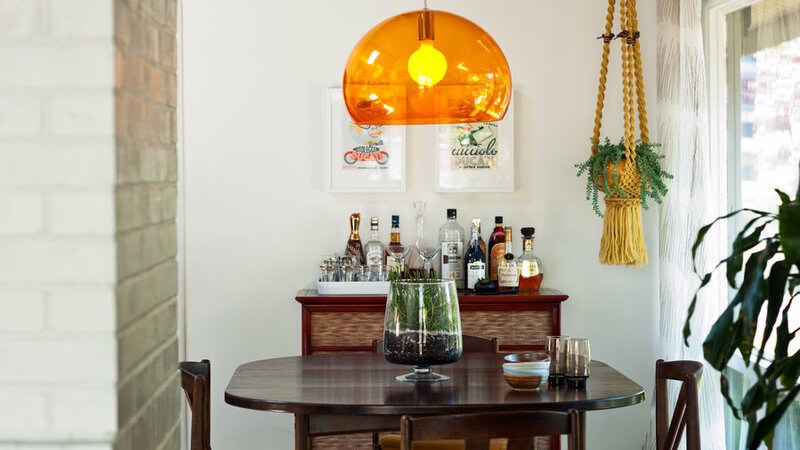 An orange pendant lamp, blue rug, and heirlooms, such as a macramé planter and ceramic pot made by the homeowner's mother, give this dining room a vintage feel. 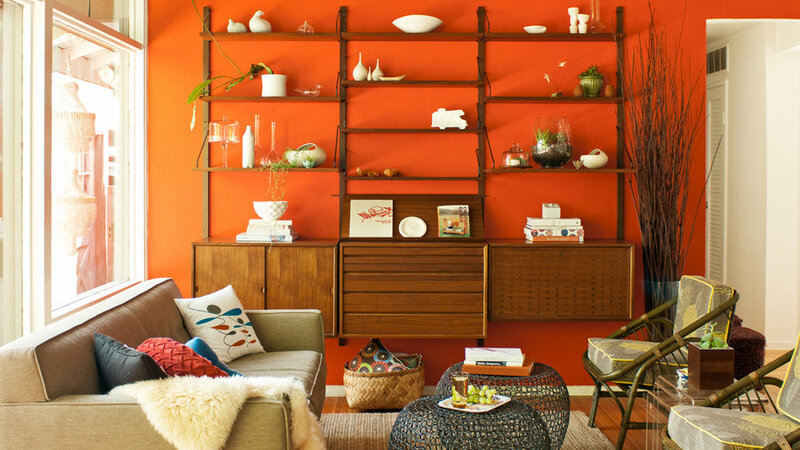 Posters from the 1950's and '60s underscore the vibe. 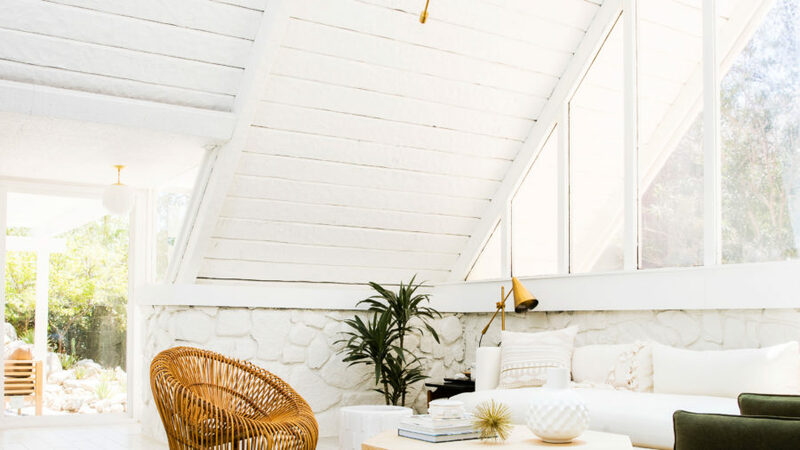 Love the beach-house aesthetic but don't live near the ocean? 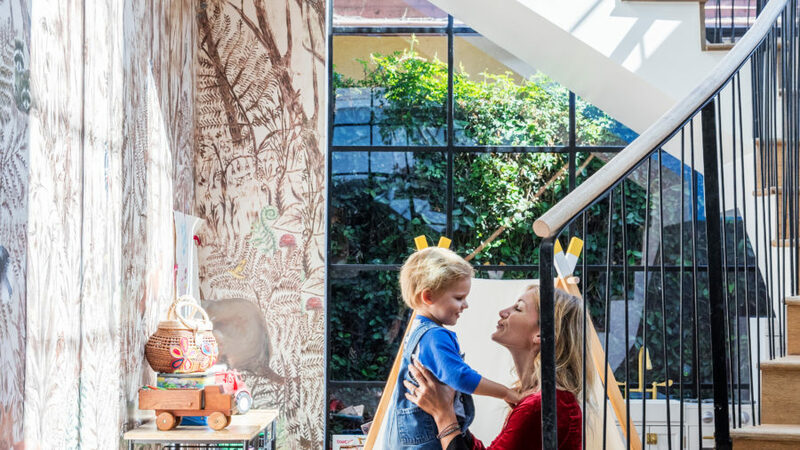 Fake it with this fun idea. 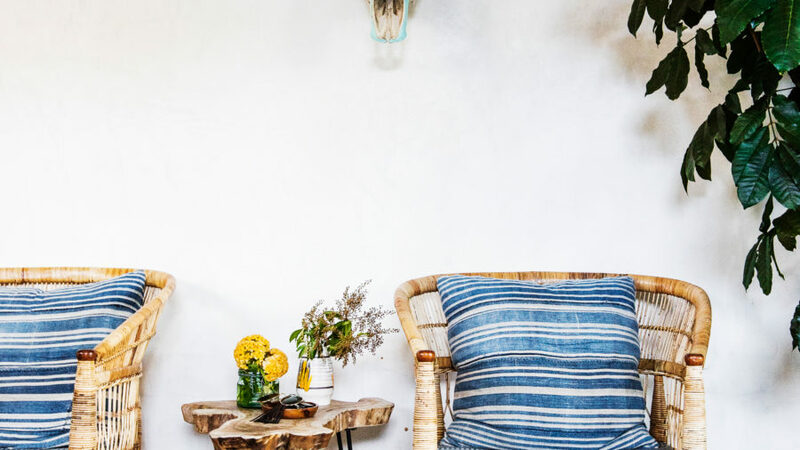 A Craigslist find, this drift boat was reinvented as a sofa. 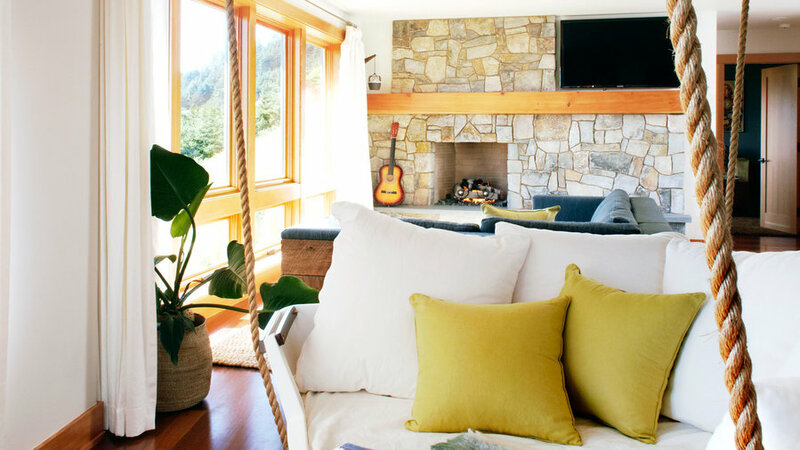 The new owners added a fresh coat of white, cut away one side, and inserted a foam mattress. 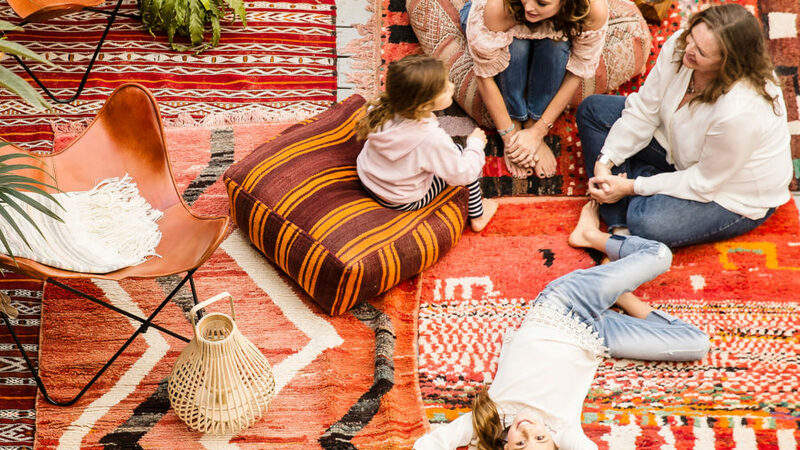 Instead of cutting off the leftover rope, they coiled it into a floor mat. 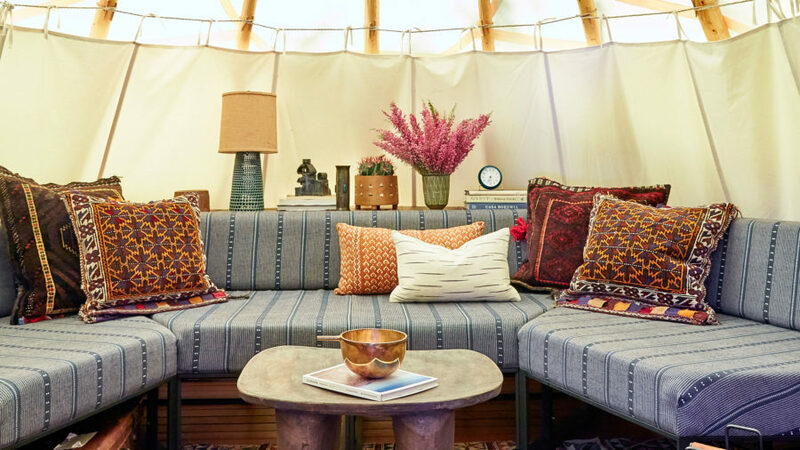 Love Southeast Asia, but can't afford a trip this year? 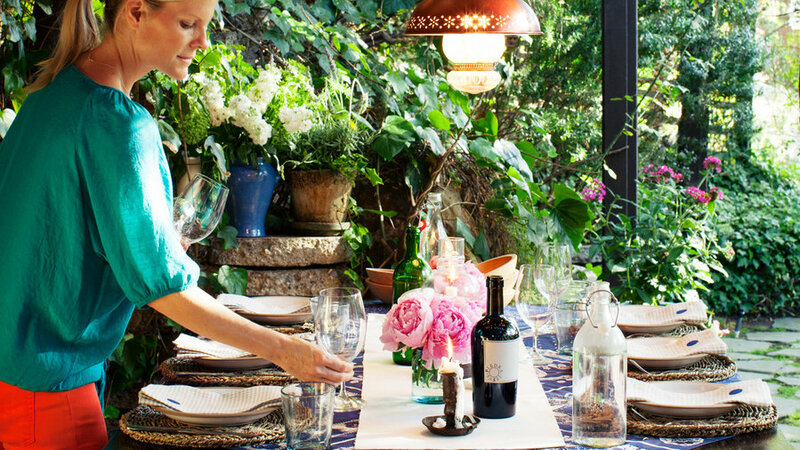 Skip the pricey plane fare and invest in a backyard Bali of your own. 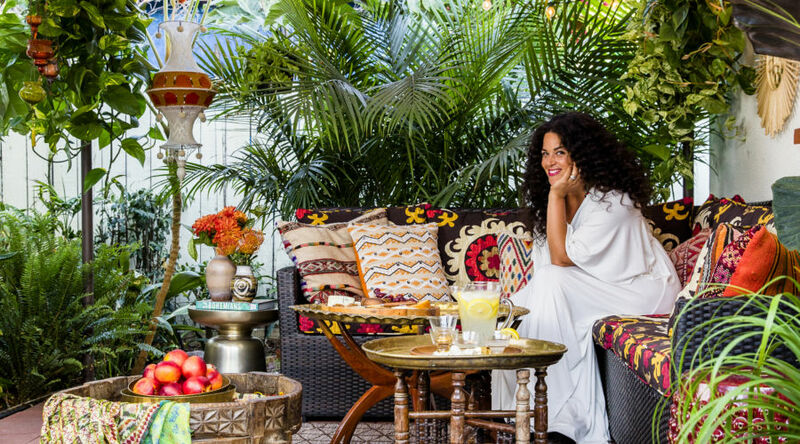 A patio becomes a lush tropical lanai without breaking the bank.